There’s nothing that can make or break a vacation faster than your accommodations. It’s the place you go to at the end of the day to rest as well as the place that will rejuvenate you for the next day ahead. So, whether you’re visiting Indianapolis for business or for pleasure, it’s crucial to pick a great place to stay. 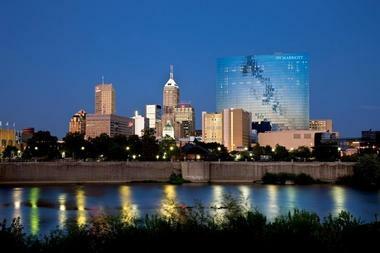 The good news is that there’s no shortage of awesome romantic getaways in Indianapolis. If you’re not sure where to start your search for the perfect place to stay, we’ve got some great options as well as the cream of the crop for you to choose from. One of the most popular hotels in the city, the JW Marriot Indianapolis is located downtown just a short walk away from the Lucas Oil Stadium and Victory Field. The hotel is popular for its exquisite facilities, such as luxurious and relaxing rooms, a large pool, and a fully equipped gym. Just as important as the suites and the amenities is the service, which also gets top marks from guests and critics alike. You can look forward to friendly faces and helpful staff while staying at the JW Marriot, while business travelers will be pleased to know that the hotel is equipped with 100,000 square feet of meeting space and business facilities. Get back to the basics of leisure and bring your four-legged friend along for the trip at Indianapolis’ Buck Creek Farm. 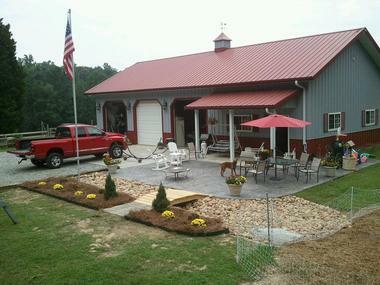 This pet-friendly bed and breakfast provides a unique experience for you and your furry friend alike around a well-kept active hobby farm. Bask in the beauty of the farm or experience life in Amish Country. You can even enjoy nearby activities like following an Indiana wine trail, exploring the exciting attractions in the city, or trying your luck in a nearby casino. After a day full of activities, retreat to the simple yet charming rooms at Buck Creek Farm, which are reminiscent of the simple farm life complete with a homey atmosphere. Quaint, cozy, and absolutely charming, Hotel Broad Ripple focuses on incomparable service and absolute comfort for every guest who walks into their humble accommodations. Situated in the center of Broad Ripple Village, this boutique hotel has only 9 rooms, each of which is unique and allows guests to enjoy a view of the beautiful Monon Trail. An ideal location for rustic weddings, family reunions, or weekend getaways, Hotel Broad Ripple’s rooms are inviting and simple while also being spectacularly comfortable. Pick a room that suits your tastes and don’t forget to spend some time relaxing at the Bunkhouse Lounge over a glass of wine or your favorite beer. 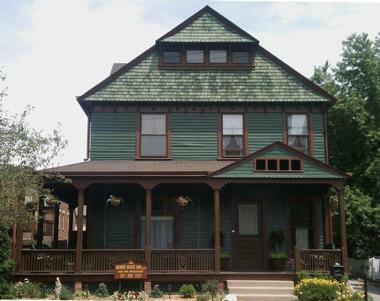 Soak up some of Indianapolis’ heritage and history at the Harney House Inn. Located at the historic Lockerbie Square, the Harney House Inn is just a short distance away from downtown Indianapolis and features spacious suites from within a delightful country home. The inn gives you the best of Hoosier hospitality and serves up a fine array of food to make your stay even better than you ever imagined. Harney House features three welcoming suites to choose from: Louis’ Penthouse, the Riley Room, and the Garden Room. 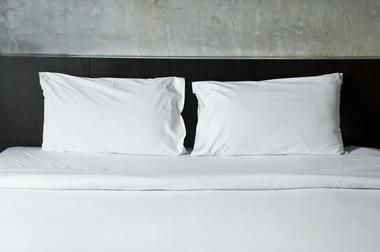 Due to the small number of rooms, you can look forward to a quiet and cozy stay at a clean and homey environment. A stunning hotel nestled in the heart of Indianapolis’ downtown area, The Alexander is a smart choice for travelers in the city for business as well as those who simply want to explore the area. The Alexander, which is part of the Dolce Hotels and Resorts group, is armed with 157 guest rooms and 52 excellent extended stay suites. Just a quick look at the hotel’s façade is enough to show that the hotel puts a premium on art and design, as each of their rooms and amenities are beautifully designed and put together. Business travelers can enjoy quality business amenities, while all guests can look forward to taking advantage of a well-equipped fitness center. Thinking of having your wedding at The Alexander or hosting a special event? 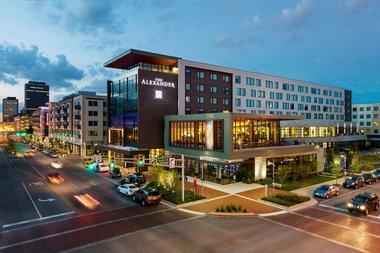 The Alexander has 16,500 square feet of space available for both indoor and outdoor events. At the Conrad, they don’t want you to just stay at their hotel, they want you to stay inspired to. This is why checking into one of their 247 modern and stylish guest suites or exploring their hotel allows you to dive into a world of renowned art of several genres. In fact, the hotel lobby alone is filled with carefully curated art pieces and features hand-signed pieces by greats like Pablo Picasso, Salvador Dali, and Andy Warhol. 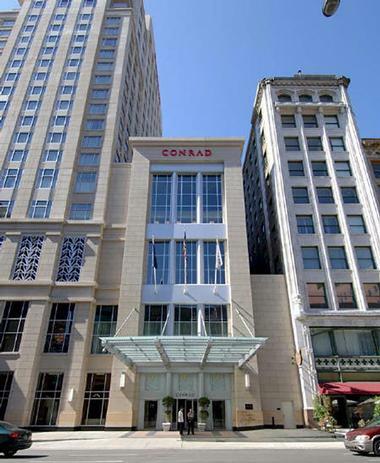 If you’re not sure where to go, the Conrad also offers customized sightseeing itineraries for visitors who have 1, 3, or 5 days to explore the city. 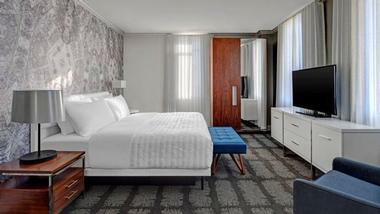 If you want to treat yourself during your vacation to Indianapolis – and who wouldn’t– then you might want to book a stay at the alluring Le Meridien Hotel in Indianapolis’ downtown area. Showcasing boutique facilities and exceptional world-class service, Le Meridien is a treat whether you’re in town for work or leisure. Because of their ideal setting, Le Meridien is the perfect jump-off point to explore the expanse of Indianapolis’ top attractions. For example, the upscale and frequently visited Circle Center Mall is just a short walk away alongside many museums and fabulous restaurants. The Indianapolis Motor Speedway and the Indianapolis Convention Center are also nearby and waiting for you to visit and explore. A beacon of lavishness, the Omni Severin Hotel is the longest-running luxury hotel in Indianapolis, having been operational for over a hundred years. Located in the city’s hip downtown area, the hotel isn’t just a popular choice of accommodation, it’s also a restored memento of Indianapolis’ diverse history. The hotel still retains much of its original early 1900s grandeur, while its amenities have been upgraded to only the best that modern hospitality can provide. Guests can also look forward to enjoying personalized service during their stay in one of the hotel’s 424 guest rooms or suites. 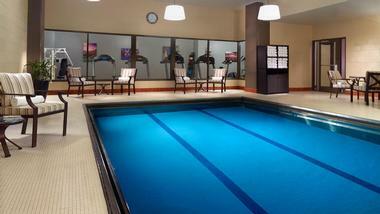 Take a dip in the indoor heated pool or get in a solid sweat session at their fully equipped fitness center in-between exploring all that Indianapolis has to offer. Take a vacation amidst the gorgeous and historic 1,700-acre expanse of Fort Harrison State Park. Perfect for golf enthusiasts, the Fort Harrison State Park Inn overlooks the beautiful golf course, which was designed by none other than the celebrated golf architect Pete Dye. Visitors and guests can enjoy a challenging game on this impressive 18-hole championship course thanks to its natural landscape and top playing conditions. If you’re not a golf player, go ahead and pay the inn a visit anyway as it offers a lovely change of pace from the fast-paced life in the city. Choose between rooms at the Harrison House, the Officer’s Home, and the Main Lodge depending on your style and preferences. 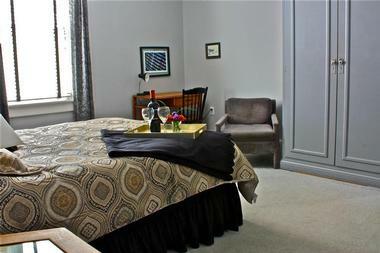 Find your second home in downtown Indianapolis at the Nestle Inn. 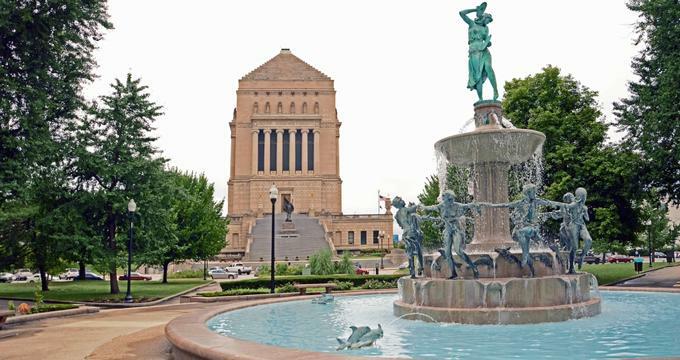 Just a short walk away from awesome attractions like the Murat Theatre at the Old National Centre, fantastic pubs and restaurants, and the Indiana Convention Center, the Nestle Inn makes for a great place to stay for visiting business travelers and tourists alike. 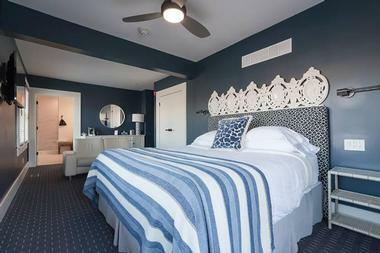 The inn features six bed and breakfast style rooms, all of which are modern and unique in their own way. All rooms are equipped with a private bath, and free Wi-Fi is offered to guests to ensure an enjoyable and connected stay. What’s great about the Nestle Inn is their hands-off approach to guests. The staff likes to make sure that they provide for your needs behind the scenes and disrupt your stay as little as possible.